The Academy Awards are this weekend and I’m dreaming up an Oscar Party. Although it’s not really gonna happen, it should come as no surprise to hear that I’m always thinking about parties and looking for excuses to throw them. I love researching recipes, coming up with a theme (if there isn’t an obvious holiday or celebration to work around), and then figuring out how I’m going to set the mood with decor and food. The process of planning parties is similar to interior design in that you have a concept for your project or party and then you need to pick all the pieces that support your idea and drive home the theme. If you’re like me, you’re busy and you don’t always plan so far ahead – but thanks to Amazon and next day shipping, you can still throw together a party last minute. In keeping with my design philosophy, I like a theme but I don’t necessarily want to hit you over the head with it. 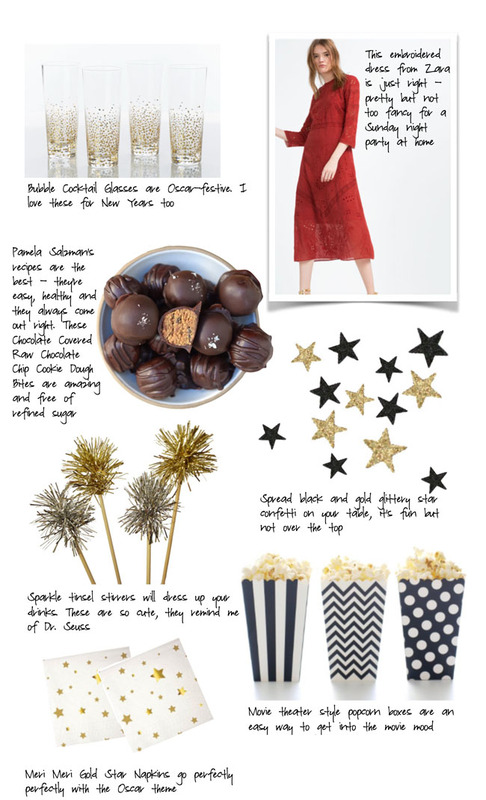 Here are some last minute Oscar Party ideas that say Oscar but will keep it stylish and sophisticated.